Fourteen non-governmental organisations (NGOs) including Amnesty and Global Witness have opposed plans by the London Metal Exchange to ban cobalt tainted by human rights abuses, a letter seen by Reuters showed. It was singled out in LME proposals to embed responsible sourcing principles into metal brands deliverable against its contracts, which include copper and zinc. Most of the world's supply comes from the Democratic Republic of Congo, often from artisanal mines where several organisations have cited human rights abuses. The LME plan outlined last October involves suspending cobalt brands trading at a significant discount to its contract on the grounds that they may be seen as tainted. Now, objections by NGOs to a consultation on its plans could leave the exchange at risk of legal challenges from banned cobalt producers, metal industry sources say. The LME will publish its proposals this quarter. "The LME received 39 responses to its recent discussion paper on responsible sourcing," the exchange said. "The LME's role is now to identify a path forwards which balances the diverse views of its stakeholders (including civil society organisations), while achieving the LME's stated aim of helping the broader metals industry embrace key principles of responsible sourcing and environmental stewardship." The letter from the NGOs said the LME should not immediately ban cobalt brands and that it should work with firms that produce them to ensure responsible sourcing. "It is short-sighted and irresponsible of the LME to single out cobalt and tin as higher risk metals above others, or to single out (artisanal) material as implicitly higher risk," the letter signed by 14 non-governmental organisations (NGOs) said. All companies involved with the exchange should implement responsible sourcing practices in line with the OECD Guidance, the letter dated Dec. 3 said. The OECD Guidance says companies should report in detail about their supply chains and advises on ways in which they can uncover and address human rights and corruption issues. "Heightened supply chain due diligence on cobalt, as with all other LME metals, must be triggered by assessment of all supply chain risks, including corruption risks," the NGO letter said. Sources say the business of an exchange is to facilitate trade between buyers and sellers. "The NGOs don't understand the difference between end consumers and the LME. The LME is a market of last resort, you can't choose which metal to take or reject," a metal trading source said. "Consumers can choose where they source their cobalt from, people buying on the LME can't, that's why there is such a deep discount between LME cobalt prices and (Fastmarkets MB)"
Cobalt prices published by Fastmarkets MB at around $44,000 a tonne are $12,000 a tonne higher than those for the LME's contract, which was launched in 2010. 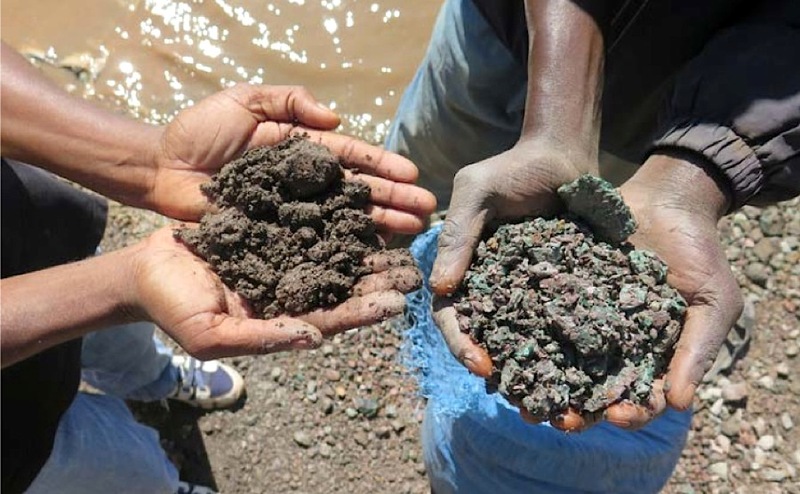 However, the NGOs say singling out low-priced cobalt typically produced by artisanal miners ignores other "serious red flags" such as corruption by large-scale miners of all metals. "Is the LME trying to create a reputational green wash that allows it to say its members source responsibly because they tick some boxes," said Sophie Pickles, who leads Global Witness' work on conflict mineral. The director of "mines to market" at NGO Pact, Karen Hayes, said the LME's plan lacked detail on implementation. "We are more than willing to work with the LME or any companies seeking to comply with the LME’s responsible sourcing standards," she said.